Do you want to visit UAE for small period? We are here to provide you 7 day visa for short periods. Enjoy your trip with us! If you looking for short trip to UAE, let’s get 14 day visa to make your holidays joyful. Our company offers you 14 days Dubai visa with best price. 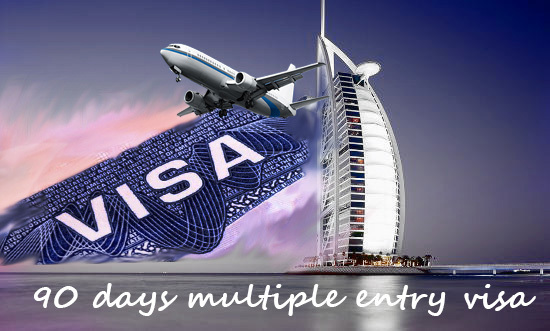 If you are looking for a long stay in UAE for a holiday or meetings, then we are providing you 30 day single entry visa. We will offer you 30 days multiple entry visa in which you can visit UAE for multiple times in a month. Want to visit UAE for more than a month? We will arrange 90 Days single entry visa for you in which you can stay in Dubai more than one month. If you want to visit UAE frequently in the span of 90 days, we will offer you 90 days multiple entry visa so that you can visit for multiple times to Dubai or nearby countries in a period of 3 months.